It's almost that time of year again when Nova Scotians will be invited to "read the same book, share the same story". Community reading programs are nothing new and started in Seattle back in 1998. Other communities quickly caught on and CBC's Canada Reads is a good example of a nation-wide community reading program. Community reading events promote recreational reading among adults. Often the titles chosen are designed to inspire discussion and debate. 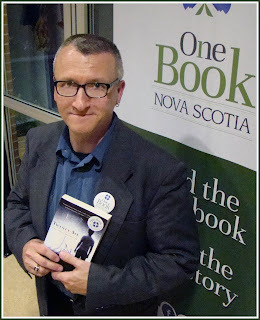 One Book Nova Scotia also aims to promote Canadian literature. Last year was the first time Nova Scotia held a province wide reading event for adults. It proved popular with over 1,100 people borrowing the book from libraries during the seven-week run of the program. 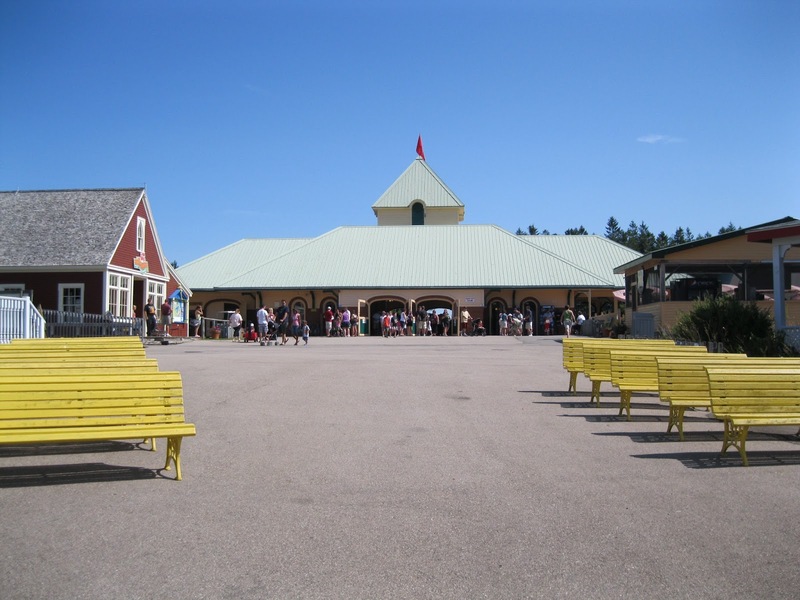 Forty-two events were held around the province, including author readings and book club meetings. Leo McKay Jr.’s Twenty-Six, a fictionalized account of the 1992 Westray Mine disaster, was the inagural One Book Nova Scotia selection. One Book Nova Scotia is a project of Libraries Nova Scotia and will be promoted throughout public libraries, community college and university libraries, and bookstores this fall. The chosen book will be unveiled on Tuesday, September 10th at 10:00 a.m. at a provincial launch at the Waterfront Campus of NSCC in Dartmouth. The public is welcome. Which book will it be this year? Stay tuned to find out or check out the 1bns.ca website for more information. Remember how exciting it was to prepare the soil and plant seeds and seedling just a few weeks ago? Look what has happened since! Your garden is full of vegetables waiting to be harvested. And so many at the same time. It’s OK. The library has a fantastic collection of preserving and harvesting books to get you started. I grew up in Toronto, and had absolutely no experience in preserving food and will never forget the first time my husband and I made our first jam in our rural Vancouver Island home. A well- meaning friend arrived with a basket overflowing with plums. They were delicious, but the intent was to make jam. We sterilized equipment, found the perfect recipe, measured the ingredients carefully and created the most wonderful tasting jam. We were hooked. One thing led to another and before we realized it we were preserving vegetables from our garden, fruit from our orchard, homegrown meat and fish, honey from our bees. Our children learned to appreciate homegrown food at all times of the year. Making apple rings and applesauce together was always a happy day. Learning the proper techniques for freezing fruits and vegetables has been successful. I have been making the same recipe of dill pickles for 30 years now, and a family supper isn’t complete without them. I dehydrate most herbs, some tomatoes and some fruit. My children still prefer canned peaches though. My personal favorite is making fresh tomato sauce and pesto. Both of these flavors make me very thankful during our long winter months. preserving in small batches year-round and The complete preserving book are wonderful for beginners. It is better to start with a small batch that is enjoyed rather than one your family refuses to eat. 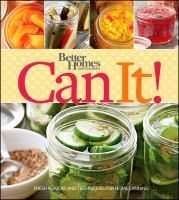 Read many preserving books, and choose a recipe with ingredients you can find locally. Local farmers have wonderful products and will help you get the fresh ingredients you need. Perhaps root cellaring appeals to you. 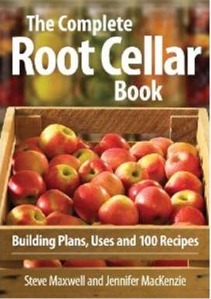 Try reading the book The complete root cellar book : building plans, uses and 100 recipes. Preserving the abundance can be very rewarding. With so many tried and true recipes, it is possible to begin with a successful preserving product. And if you would like some great information on planting food for harvest, get inspired with the book Backyard harvest. Have fun preserving the colours, textures, tastes and smells that celebrate this time of year. As summer begins to wind down, thoughts turn to school. Walk into any office supply or department store and you'll see displays of notebooks, paper, binders, colored pens, erasers, tape, glue, and crayons. Folks are already scratching off the list of school supplies needed for the upcoming year. For some, this will be the first year of school—perhaps preschool or daycare, or maybe even the big step of riding the bus and going to primary. It can be both exciting and scary to a young child! We've got a list of books about school that can ease your child into the new school experience, or that slightly reluctant child who never wants summer to end. This list has a little of everything—books about the school bus, school lunches, the school library, art class, and the first day. There are even a few books about bullies that can help you talk to your child who may be feeling a little scared of the big kids at school. We've also put together some websites for parents and kids to share. This list has sections on safety, activities, bullies, and a general section that can even help you pack a healthy lunch for your child. Getting your child ready for the first day of school can be fun. There are plenty of apps for helping kids learn to write, learn the alphabet, numbers, shapes, and more. Your older child might get back into the school swing by trying some learning games before September rolls around. We've gathered some resources here. There are plenty of ways to get back into the swing of things without technology, too! Take walks and look for the whole alphabet. Check out some books about nature. Play board games that involve counting or keeping score, and let your child do the math. And if you are thinking of homeschooling, take a look at some of the resources we've gathered here. Our website has lots of information for parents who are sending their children off into the world of school! Be ready when the bell rings. For the past 6 years, Upper Clements Park has been our partner in the Summer Reading Club. As many of you know, when you finish the Summer Reading Club, you can earn a FastPass to Upper Clements! How cool is that? The good folks at Upper Clements Parks donate around 2000 FastPasses to the library each year. And they do it for other regions, too! For our region alone, that adds up to a donation of over $50,000! As partners, we've built a great relationship with the park. We help out at School Days each year, with educational activities for school groups that attend in June. We've also been out at the park in August for Word in the Park. This year we have a StoryWalk activity planned: read the StoryWalk signs and answer a question and get a prize (including free books!) We also have a couple of special guests lined up—Geronimo Stilton and Clifford the Big Red dog will be there! Use your FastPass and join us on August 17-18 for this fun event! If you've never been to the park, you are in for a treat. 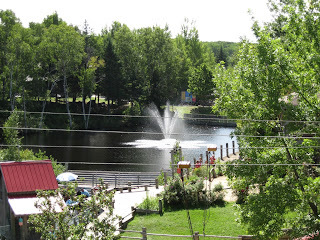 There's a wooden roller coaster, a flume ride, paddle boats, a train, and loads of other activities. There's music and other entertainment, and of course, food! Cotton Candy! Fries! Candy Apples! Ice Cream! And hot dogs, hamburgers, and a whole list of other goodies. 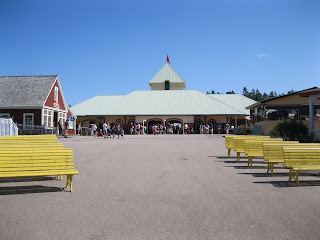 To find out more about the park, just visit their website for times, ride details, pictures, and more. And if you've signed up for our Summer Reading Club, get your reading finished up by August 20, because that is when we close up the SRC and relax for a few minutes. Come see us by then to get your FastPass and to enter for our other prize draws! See you at the park!